Alyssabeths Vintage: Etsy Love – Repurpose and Reuse ! Etsy Love – Repurpose and Reuse ! So according to many people that know me I am a creative, tree-hugger type, which when uttered by my father-in-law sounds like a bad thing. I fully admit that the ecological state of our world is a serious issue with me and will break into tears when I think of the upcoming, probable demise of the polar bear, along with other species that have had their world ruined by human hands. Ok, so onto a happier note and in the spirit of conservation I have found some very creative recycled and reused creations on Etsy, everything from accessories to home décor’. Beas Collectibles, found her store when she favorited an item of mine, so being nosey I strolled on over to her store and was blown away by her repurposing creativity. 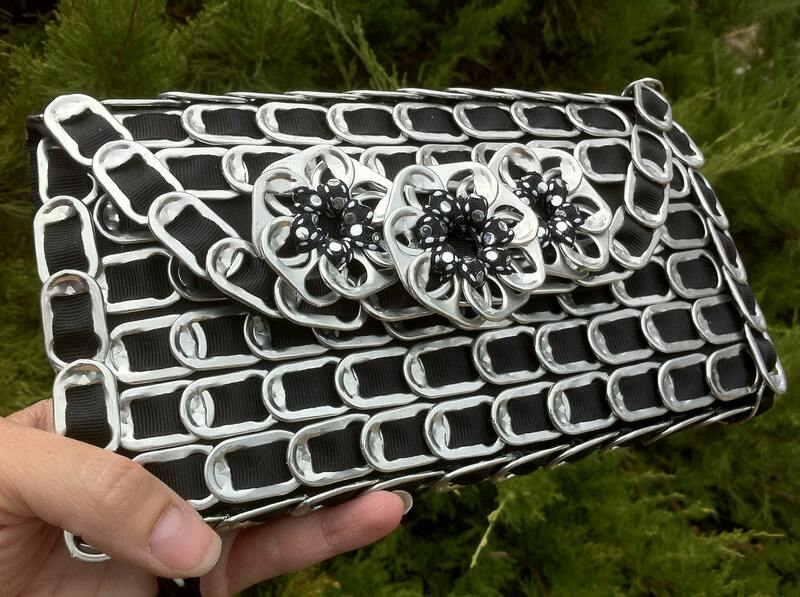 Believe it or not she creates purses and wallets from soda pop tabs, I'm not kidding! I don't know how she does it, but they look sleek, modern and fabulous. My husband and I both have an affinity for maps, his office is covered with framed antique Texas maps that I have found during my junk shop hunts. I'm thinking this repurposed mall lamp shade would be a perfect accent piece to his office. 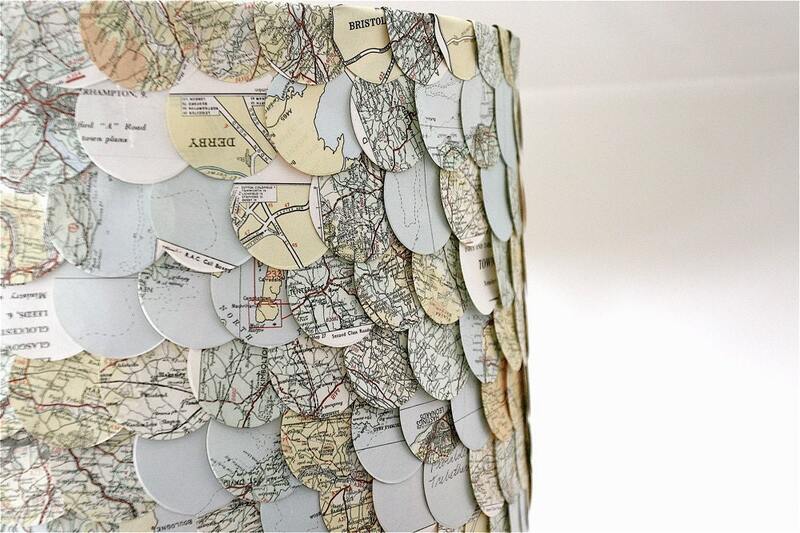 The map lamp shade is offered by Eclu, it's so fun and I can't imagine how much time it took to create. Of course I have to throw in something Shabby Chic! 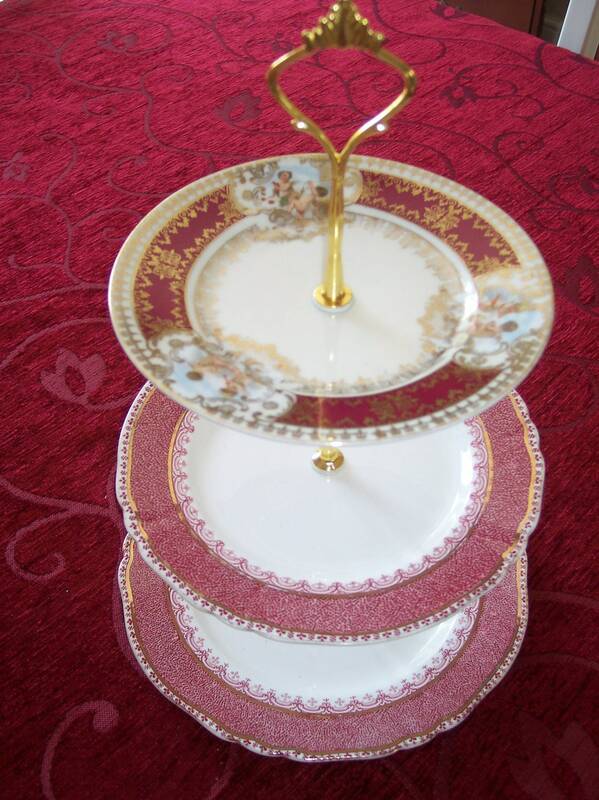 I adore this shop and her repurposed cakestands, Vintage Cake Stands created with vintage plates. 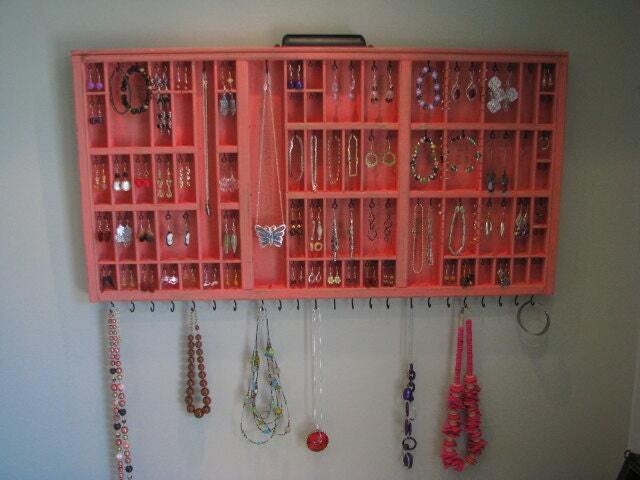 And, last but not least I really... really... need one of these antique printer tray Jewelry Displays. I'm hoping to start doing craft shows to sell my jewelry next Spring, and I love the chic vintage feel of these displays from Black Forest Cottage. That purse is just swell! Hi there, I am really enjoying your blog, and I really love what you did with the printers tray/drawer. I have one that I have displayed on the wall and I have shells in it, not finished yet. When I finish it I will share it. Never thought of using it for jewelry. Good thinking!